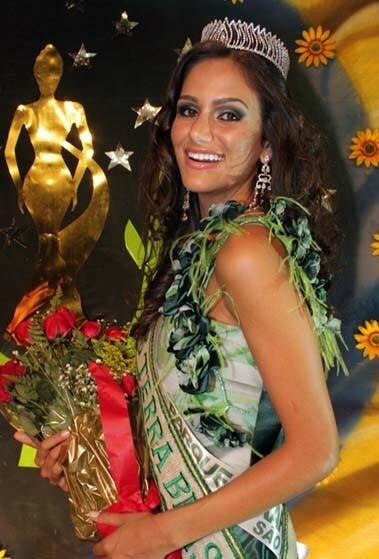 Drielly Araujo Bennettone, representing the Ibirapuera Park, in São Paulo, was crowned Miss Earth Brazil 2010, in an event which happened in Belo Horizonte last Saturday night. Drielly is 21 years old, 1.82 m tall, and studies Business Administration. She will compete in Miss Earth 2011, since Miss Earth Brazil 2010 was handpicked by the Brazilian organizers.